Ethylene glycol (IUPAC name: ethane-1,2-diol) is an organic compound with the formula (CH2OH)2. It is mainly used for two purposes, as a raw material in the manufacture of polyester fibers and for antifreeze formulations. It is an odorless, colorless, sweet-tasting syrup. Ethylene glycol is moderately toxic. This reaction can be catalyzed by either acids or bases, or can occur at neutral pH under elevated temperatures. The highest yields of ethylene glycol occur at acidic or neutral pH with a large excess of water. Under these conditions, ethylene glycol yields of 90% can be achieved. 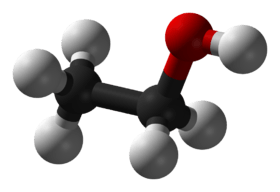 The major byproducts are the ethylene glycol oligomers diethylene glycol, triethylene glycol, and tetraethylene glycol. About 6.7 billion kilograms are produced annually. A higher selectivity is achieved by use of Shell's OMEGA process. In the OMEGA process, the ethylene oxide is first converted with carbon dioxide (CO2) to ethylene carbonate to then react with water in a second step to selectively produce mono-ethylene glycol. The carbon dioxide is released in this step again and can be fed back into the process circuit. 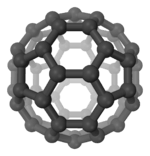 The carbon dioxide comes in part from the ethylene oxide production, where a part of the ethylene is completely oxidized. The major use of ethylene glycol is as a medium for convective heat transfer in, for example, automobiles and liquid cooled computers. Ethylene glycol is also commonly used in chilled water air conditioning systems that place either the chiller or air handlers outside, or systems that must cool below the freezing temperature of water. In geothermal heating/cooling systems, ethylene glycol is the fluid that transports heat through the use of a geothermal heat pump. The ethylene glycol either gains energy from the source (lake, ocean, water well) or dissipates heat to the sink, depending if the system is being used for heating or cooling. Pure ethylene glycol has a specific heat capacity about one half that of water. So, while providing freeze protection and an increased boiling point, ethylene glycol lowers the specific heat capacity of water mixtures relative to pure water. A 50/50 mix by mass has a specific heat capacity of about 3140 J/kg C (0.75 BTU/lb F) three quarters that of pure water, thus requiring increased flow rates in same system comparisons with water. Additionally, the increase in boiling point over pure water inhibits nucleate boiling on heat transfer surfaces thus reducing heat transfer efficiency in some cases, such as gasoline engine cylinder walls. Therefore, pure ethylene glycol should not be used as an engine coolant in most cases. Ethylene glycol disrupts hydrogen bonding when dissolved in water. 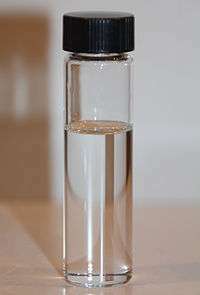 Pure ethylene glycol freezes at about −12 °C (10.4 °F), but when mixed with water, the mixture does not readily crystallize, and therefore the freezing point of the mixture is depressed. Specifically, a mixture of 60% ethylene glycol and 40% water freezes at −45 °C (−49 °F). Diethylene glycol behaves similarly. It is used as a de-icing fluid for windshields and aircraft. The antifreeze capabilities of ethylene glycol have made it a component of vitrification (anticrystallization) mixtures for low-temperature preservation of biological tissues and organs. Mixture of ethylene glycol and water can also be chemically termed as Glycol Concentrate/ Compound/ Mixture/ Solution. However, the boiling point for aqueous ethylene glycol increases monotonically with increasing ethylene glycol percentage. Thus, the use of ethylene glycol not only depresses the freezing point, but also elevates the boiling point such that the operating range for the heat transfer fluid is broadened on both ends of the temperature scale. The increase in boiling temperature is due to pure ethylene glycol having a much higher boiling point and lower vapor pressure than pure water; there is no chemical stabilization against boiling of the liquid phase at intermediate compositions, as there is against freezing. In the plastics industry, ethylene glycol is an important precursor to polyester fibers and resins. Polyethylene terephthalate, used to make plastic bottles for soft drinks, is prepared from ethylene glycol. Ethylene glycol is used to protect carbonyl compounds from reduction in conjunction with an acid catalyst. It forms an acetal which is not touched by most reducing agents. For example, if a compound contains both a ketone group and an aldehyde, ethylene glycol forms an acetal at the aldehyde. After reduction (by using LAH, NaBH4, etc) subsequent hydrolysis destroys the acetal. Minor uses of ethylene glycol include the manufacture of capacitors, as a chemical intermediate in the manufacture of 1,4-dioxane, as an additive to prevent corrosion in liquid cooling systems for personal computers, and inside the lens devices of cathode-ray tube type of rear projection televisions. Ethylene glycol is also used in the manufacture of some vaccines, but it is not itself present in these injections. It is used as a minor (1–2%) ingredient in shoe polish and also in some inks and dyes. Ethylene glycol has seen some use as a rot and fungal treatment for wood, both as a preventative and a treatment after the fact. It has been used in a few cases to treat partially rotted wooden objects to be displayed in museums. It is one of only a few treatments that are successful in dealing with rot in wooden boats, and is relatively cheap. Ethylene glycol may also be one of the minor ingredients in screen cleaning solutions, along with the main ingredient isopropyl alcohol. Ethylene glycol is commonly used as a preservative for biological specimens, especially in secondary schools during dissection as a safer alternative to formaldehyde. It can also be used in killing jars. It is also used as part of the water-based hydraulic fluid used to control subsea oil and gas production equipment. Another interesting use is in the treatment of 'dry rot' or 'white rot' on timber joists, partially rotten or affected wood readily soaks it up and the fungus is subsequently killed. The main advantage of this type of treatment is that the glycol is hydroscopic and the wood being already water damaged readily absorbs a water based product. Ethylene glycol is moderately toxic, with an oral LDLo = 786 mg/kg for humans. The major danger is due to its sweet taste, which can attract children and animals. Upon ingestion, ethylene glycol is oxidized to glycolic acid, which is, in turn, oxidized to oxalic acid, which is toxic. It and its toxic byproducts first affect the central nervous system, then the heart, and finally the kidneys. Ingestion of sufficient amounts can be fatal if untreated. Several deaths are recorded annually in the U.S. alone. Antifreeze products for automotive use containing propylene glycol in place of ethylene glycol are available. They are generally considered safer to use, as propylene glycol possesses an unpleasant taste and is converted in the body to lactic acid, a normal product of metabolism and exercise. Ethylene glycol is a high production volume chemical; it breaks down in air in about ten days, and in water or soil in a few weeks. It enters the environment through the dispersal of ethylene glycol-containing products, especially at airports, where it is used in deicing agents for runways and airplanes. While prolonged low doses of ethylene glycol show no toxicity, at near lethal doses (>= 1000 mg/kg per day) ethylene glycol acts as a teratogen. "Based on a rather extensive database, it induces [skeletal variations and malformations] in rats and mice by all routes of exposure." This molecule has been observed in outer space. 1 2 3 4 5 6 "NIOSH Pocket Guide to Chemical Hazards #0272". National Institute for Occupational Safety and Health (NIOSH). ↑ Elert, Glenn. "Viscosity". The Physics Hypertextbook. Retrieved 2007-10-02. ↑ Adolphe Wurtz (1856). "Sur le glycol ou alcool diatomique" [On glycol or dibasic alcohol]. Comptes rendus. 43: 199–204. ↑ Ad. Wurtz (1859) "Synthèse du glycol avec l'oxyde d'éthylène et l'eau" (Synthesis of glycol from ethylene oxide and water), Comptes rendus, 49 : 813–815. ↑ Theodora W. Greene; Peter G. M. Wuts (1999). Protective Groups in Organic Synthesis (Third ed.). John Wiley & Sons. pp. 312–322. ISBN 0-471-16019-9. ↑ J. H. Babler; N. C. Malek; M. J. Coghlan (1978). "Selective hydrolysis of α,β- and β,γ-unsaturated ketals: method for deconjugation of β,β-disubstituted α,β-unsaturated ketones". J. Org. Chem. 43 (9): 1821–1823. doi:10.1021/jo00403a047. ↑ Safety Officer in Physical Chemistry (November 23, 2009). "Safety (MSDS) data for ethylene glycol". Oxford University. Retrieved December 30, 2009. ↑ Pieter Klapwijk (January 27, 2010). "Ethylene Glycol Poisoning". The Rested Dog Inn. Retrieved October 11, 2012. ↑ "Antifreeze and Engine Coolant Being Bittered Nationwide". Consumer Specialty Products Association. 13 December 2012. Archived from the original on 28 December 2012. Retrieved 30 June 2016. ↑ "Statement of the Science Report for Ethylene Glycol". 3.3.2.2 Non-neoplastic effects. Health Canada www.hc-sc.gc.ca. June 24, 2013. Retrieved 27 August 2014. ↑ J. M. Hollis; F. J. Lovas; P. R. Jewell; L. H. Coudert (2002-05-20). "Interstellar Antifreeze: Ethylene Glycol". The Astrophysical Journal. 571 (1): L59–L62. Bibcode:2002ApJ...571L..59H. doi:10.1086/341148. Hairong Yue; Yujun Zhao; Xinbin Ma; Jinlong Gong (2012). "Ethylene glycol: properties, synthesis, and applications". Chemical Society Reviews. 41 (11): 4218–4244. doi:10.1039/C2CS15359A.